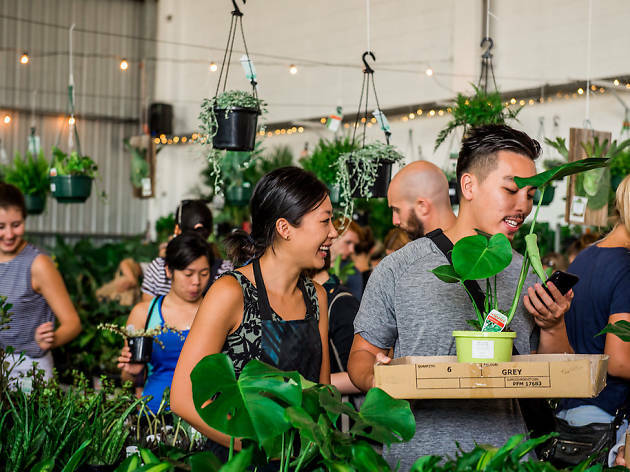 The leaf-loving folk from the Jungle Collective have organised another pop-up plant sale in a warehouse in St Peters. Horticulture fans can pick up thousands of varietals like fiddle leafs, monstera, birds of paradise, peace lilies, rubber trees and more. The collective like to theme their events, offering discounts to those who dress up for the occasion or bring a friend. This time around they’ve got a pet focus, offering a wider variety of plants that are cat and dog-friendly. To team with that theme, they’re giving a $5 discount to anyone dressing up as a pooch or meow (that cat onesie will finally prove its worth). How does the ticketed system work? If you want the best chance at securing rare or specific species, or just the best looking ones, we suggest acting fast on securing a morning ticket for the Saturday, with the earliest shopping session from 8-10am. These ‘tickets’ are free, but you’ll have to hold them to get access to your registered time to avoid a sweaty crush of plant-mad shoppers. If you’re in it for any fresh greenery going, there’s time slots on Sunday and the understanding gardeners will save a few of the rarer finds for second-day shoppers. 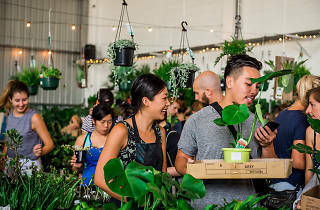 Once you’re in, you can start building that indoor Jumanji with the help of on-site horticulturists, pretty pots and easy EFTPOS facilities. If you’re trying to turn your home into a greenhouse of the fanciest plants, keep in mind that premium pot-dwellers are limited to one per person, so that the rare jungle can be spread across Sydney. Tickets are also limited to one per person and are available now.